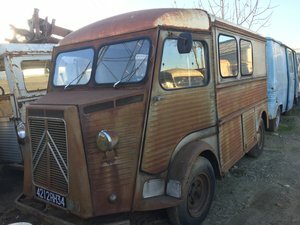 The automobiles that bear Andre Citroen’s name have long been synonymous with innovation, creativity, and unique style. From the very first car that rolled out of the Quai de Jeval factory in 1919, Citroen’s have stood apart from the crowd. Credited with the first mass-produced automobile in France, Andre Citroen is sometimes called “Europe’s Henry Ford,” however, his spirit of innovation sets him apart from his pragmatic American counterpart. 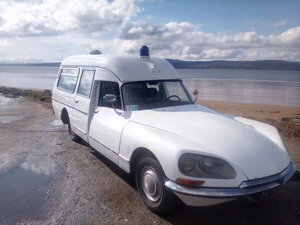 Even after the death of Le Patron in 1935, Citroen remained almost defiantly unique, embracing the Avant-Garde and producing some of the world’s most memorable cars until a takeover by Peugeot in the late 1970s diluted Citroen’s creative spirit. The innovative yet steadfast Traction Avant sustained the marque for an astonishing 23 years, from its debut in 1935 until its replacement in 1956. Following up on the beloved Traction Avant would be difficult, yet in typical Citroen spirit, the company put all of their technical and creative resources on the project, and the results were astonishing. 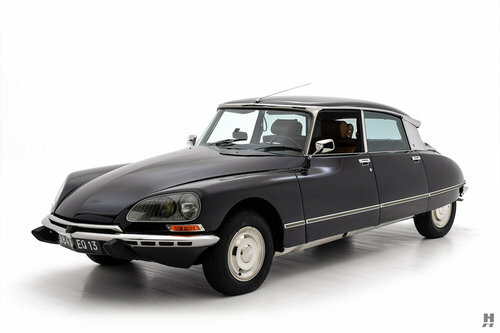 The DS (pronounced Déesse; a clever wordplay on the French word for “goddess”) was designed by Italian sculptor Flaminio Bertoni and French aeronautical engineer André Lefèbvre. 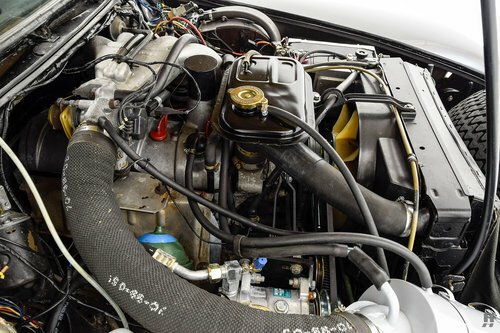 Central to the mechanical specification was a high-pressure hydraulic system that controlled the height adjustable suspension, power steering, braking, and semi-automatic transmission. More subtle engineering touches included the tapering wheel track which reduced understeer, and a fiberglass roof to lower the center of gravity. The OHV four-cylinder engine was somewhat conventional, yet just about everything bolted to it was anything but. Unveiled at the 1955 Paris Salon, the new DS looked almost other-worldly and a stark contrast to everything else at the show. The public, press, and Citroen’s competitors were shocked at what the company had achieved. 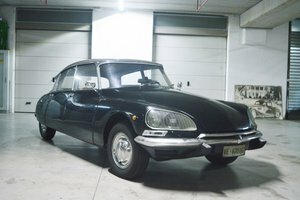 Perhaps the most revolutionary aspect of the DS was that all of this sophisticated technology and style was packed into a mid-priced family sedan. Citroen risked its very existence on a design that was so far beyond what had been seen in a mass-produced car, and some felt there was no way the general public would embrace such a futuristic and complex family car. Thankfully, all worries were put to rest with 743 orders placed in the first hour of the car’s debut in Paris! A further 12,000 orders were made on the first day of the Salon alone. All told, over 1.5 million were built, spanning a production run of twenty years and a wide array of trim levels and factory and coachbuilt body styles. 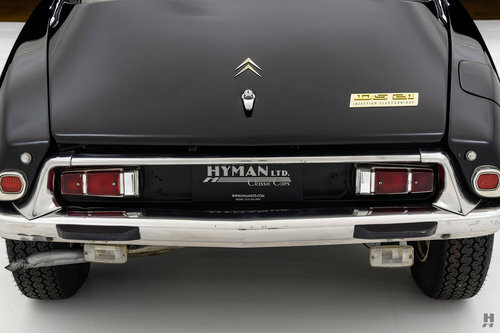 We are pleased to offer this desirable and attractive 1972 Citroen DS21; a top-spec Pallas model finished in black over a mocha leather interior. 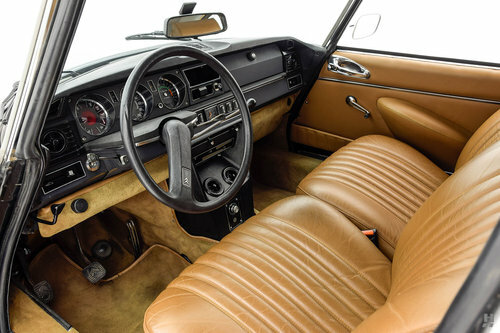 This European-specification car is highly optioned, featuring luxurious Pallas trim, factory air conditioning, 5-speed manual gearbox and electronic fuel injection, a new feature for the ‘72 model year. 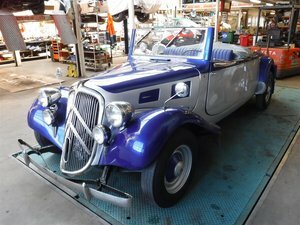 It was France’s first car to feature EFI, second only to Mercedes-Benz in all of Europe. The system, developed by Bosch, increases output to a welcome 139 horsepower, and when mated to this car’s 5-speed manual, transforms the DS into a capable Grand Tourer. This car also features the beautiful covered headlamps; a signature of Robert Opron’s 1967 restyling of Bertoni’s original design. The self-leveling headlamps also feature the swiveling inner driving lamps, which turned with the steering wheel to aid in cornering on dark country lanes. Excellent cosmetics back the attractive specification. The all-black paintwork suits the shape beautifully, and it presents in fine order with deep gloss and properly-aligned panels. A few minor cracks in the finish are found on close inspection; however, they do little to detract from the impressive overall appearance. Brightwork consists of a mix of chrome and stainless pieces, appearing in excellent original condition. Some polish marks are visible on the bumpers, yet they are straight and properly aligned. The additional vents in the front bumper are unique to the cars with factory-equipped A/C. Wheels feature correct off-white paint with full stainless steel wheel covers. The 185-section tires (Vredestein Sprint Classics, in this case) are proper for the fuel injected models, which got wider tires to account for the generous boost in performance. This car features a gorgeous, Pallas-specification interior, trimmed in mocha-colored leather on the seats and door panels. It appears the seats and panels were reupholstered somewhat recently, while the carpets are excellent, well-preserved originals. The upholstery seems very fresh, with only the slightest indications of use on the driver’s seat. 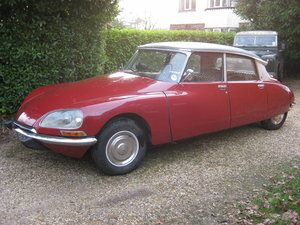 Seats are sublimely comfortable and softly sprung, complementing the DS’s superb ride quality. Factory original controls and switches are in excellent condition, with the odometer showing just over 84,000 km or about 52,000 miles. 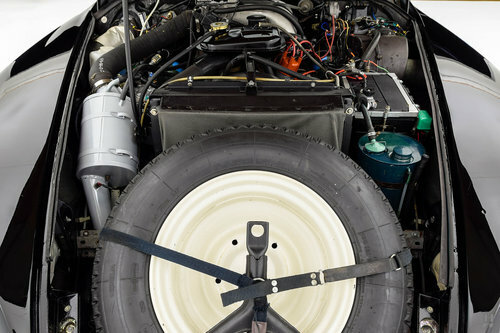 The front-mounted spare wheel dominates the engine bay, with the 2,175 cc inline-four placed far back in the chassis. 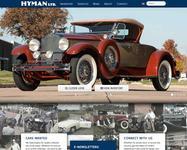 The presentation is very good, appearing well-maintained, tidy and original. The engine mates to the rare and preferred 5-speed manual gearbox (a fully automatic and hydraulically-assisted 5-speed were optional), which pairs beautifully with the more powerful engine. Thanks to the Bosch injection, it starts with ease and runs well, the car literally rising to the occasion on its hydraulic suspension. Other hydraulic functions such as steering and brakes all work as they should, delivering that unparalleled comfort that is so unique to the DS. 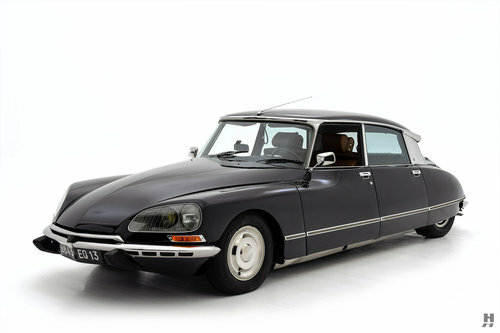 Few automobiles in history match Citroen’s wholly unconventional DS for its daring technological advancements, Avant-Garde style, and uniquely French idea of luxury. This beautifully sorted example, in sought-after European specification and with a highly desirable option list is a beautiful family classic that is ready to provide many more miles of enjoyment for its next keeper.